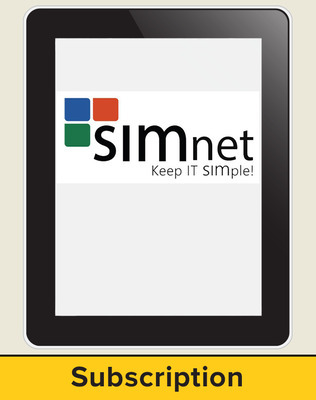 SIMnet is McGraw-Hill’s leading solution for learning and assessment of Microsoft® Office skills and beyond! SIMnet provides a virtual Microsoft Office environment that is available completely online, through multiple browsers, with nothing to install. Students can practice and study their skills anytime and anywhere! SIMnet provides a virtual Microsoft® Office environment that is available completely online, through multiple browsers, with nothing to install. Students can practice and study their skills anytime and anywhere! SIMnet is designed with a Student Library feature to help students immediately learn isolated Microsoft® Office skills on demand. Students can learn Office applications at their own pace with a unique learning experience for each individual. SIMnet provides powerful, measurable results for you and your students! See results immediately with various reports and a customizable gradebook.